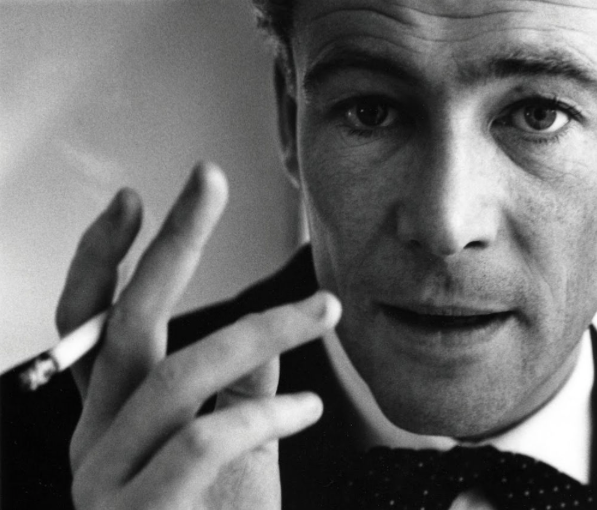 hightouchmegastore: Personal cinematic history: Peter O'Toole. My first Peter O'Toole movie was more than twenty years into his movie career--My Favorite Year, in 1982. In it, O'Toole plays Alan Swann, an Errol Flynn-esque actor, who is mostly washed-up, but has been engaged to appear on a Sid Caesar-esque variety show. It's funny, it's charming. I love the movie, though, because it so thoroughly demonstrates the aura of a movie star, and there is no more apt actor than Peter O'Toole to embody that glamor, that charisma, that allure. My real first Peter O'Toole movie was, of course, Lawrence of Arabia. As I have written before, I first saw Lawrence on a black and white television in the late 70s. This was not an optimal viewing experience. But when I saw the film later, in 1989 on a big screen, seven years after My Favorite Year, I was transfixed. This was the kind of movie for which the whole enterprise of movie-making was made. I understood then how My Favorite Year glossed not only Errol Flynn or someone very like him, but also the kind of outsize actor who cut a dashing figure, who lived flamboyantly and publicly, whose image might outlast the period of the actual productive work (as in the case of Flynn); one whose talents were prodigious and whose magnetism was equal to the talent--an actor like Peter O'Toole. There's a sense in which Lawrence, the character, is a similar kind of gloss on Lawrence the historic figure--it was as if history were invoked in this film to show the rise of a kind of monomania that would only be skewered, punctured; to illustrate a personality that took itself to be godlike, capable of great heroism, cruelty, and ultimately a lethal self-doubt. It is a towering performance in a towering film, a fitting document of imperialism. It is unforgettable. The last time I saw Peter O'Toole was in Venus. In this late film, O'Toole plays an aging, ailing actor, well past the point when he can ply his craft, who falls in love/lust with a very young woman. For this performance, O'Toole received his eighth nomination for Best Actor. He won none of these times. I found this film, and O'Toole's performance, to be crushingly moving. That ruined but still beautiful body and face. That voice. The way that desire is unruly, how one does or does not give permission for it to have its way. It is appalling and lovely and riveting. Why aren't you writing reviews for The New Yorker?